In the past two years, Quality Importers Trading Company has evolved and grown exponentially. Since its early days, the company has aimed to serve the smoking industry in a different way. From the moment it was launched, Quality Importers focused on sourcing and procurement. Rather than centering its business on actual tobacco products, the company focused instead on the accessories required for enjoying the smoking experience. As the company grew, it reinvested its profits to help support its continued growth and evolution. Over the years, the company acquired competitors that had some sort of specialty that Quality Importers didn’t have. First it was Big Easy Tobacco, which was a wholesale company. Then came the acquisition of Orleans Group, a company that had a portfolio similar to Quality Importers but differed in that it had a department devoted to small-batch production of customized hard goods. In 2017, after Michael Cellucci joined Quality Importers as its president, he began looking for ways to scale the business. The company already had purchasing power, a wholesale division and a short-run, in-house customization department. Cellucci and Michael Giordano, the company’s CEO, wanted Quality Importers to continue to grow and evolve its business, so they began to invest in personnel, specifically seeking out people who understood their long-term vision for the company and were as excited about the future as they were. A big part of that vision and investment led to the decision to acquire Xikar when it became available for purchase. When he was 26 years old, Cellucci moved from Philadelphia to New York City hoping for a second go at adulthood. He had dropped out of high school and spent several years in various manual labor jobs, frequently hanging out in local bars and barely making ends meet. Along the way, Cellucci realized that if he wasn’t going to get a formal education, he had to find other ways to advance in the world. Cellucci went on to apply to New York University (NYU), where he was accepted into the physical therapy program. He funded a move to Manhattan with a credit card, arriving with $50 in his pocket. While he waited for classes to begin, he received a call from another mentor, Mitch Budman, who he had worked for on and off for years. 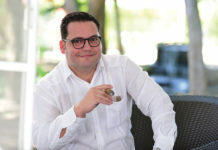 Budman owned an auto parts wholesale business in Philadelphia and had just invested in a cigar startup in Brooklyn that would later become known as Drew Estate. Budman mentioned that this new startup needed a salesman, and, since Cellucci trusted Budman’s instincts and guidance, he decided to explore the opportunity. Budman introduced Cellucci to the startup’s founders—Jonathan Drew and Marvin Samel—and he soon had a new job opportunity. 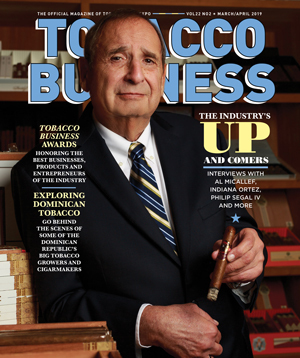 Cellucci officially joined Drew Estate in May 2000, right after the company launched its Acid brand of cigars. His intention was to leave the company in January 2001, when his classes at NYU began. Before that could happen, he was offered the position of director of sales of Drew Estate. 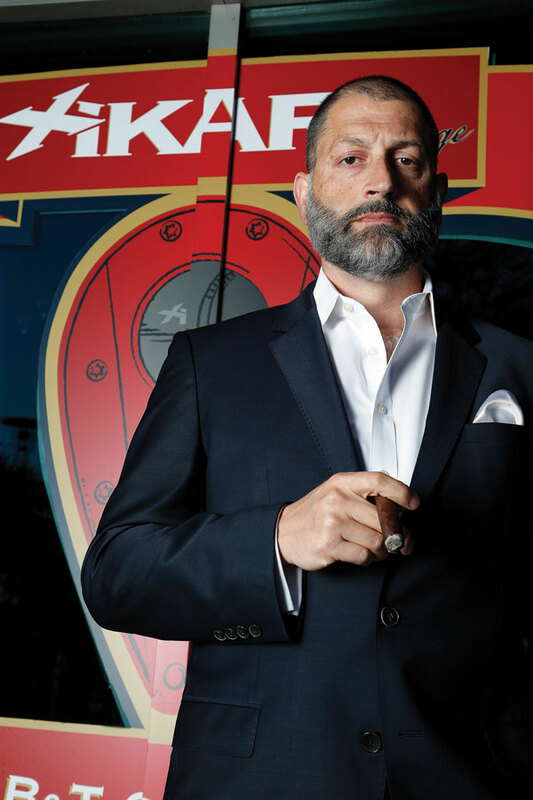 He knew the company was onto something special, and, while he was aware of the startup obstacles it faced, he saw a future for himself at Drew Estate. Ultimately, Cellucci decided to forego the degree and put everything he had into helping to build the company. While Cellucci was in sales, he also had to learn how to build brands. Cellucci began to understand that all brands had personalities and lifecycles of their own—that to achieve sales, brands must be treated with respect and that they often require a long-term approach. Cellucci views brands like children in that they have to be cared for properly in order to become strong and grow beyond your direct control. As Cellucci developed a clear understanding of branding, he also began to understand the important role production plays in a successful business. 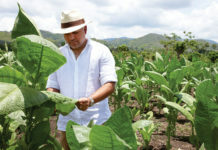 He began to see how customers come to rely on getting the same experience every time they use a product, especially a premium cigar. Cutting corners was never an option, and quality could never be sacrificed in the production process. Pricing and distribution are also more closely tied together, and it’s the job of the brand owners and managers to ensure all the sales channels containing your company’s products will confidently represent and push those products. This allows the end consumers to purchase your products from any retail outlet with the confidence that what they’re buying will be of the same quality to which they’re accustomed. Another lesson Cellucci learned about brand building is that you have to trust your gut instincts and ignore the naysayers—harden your convictions, set your goals and never look back. Cellucci’s professional aspirations evolved over time. While at Drew Estate, he found himself on the road more than 130 nights each year. 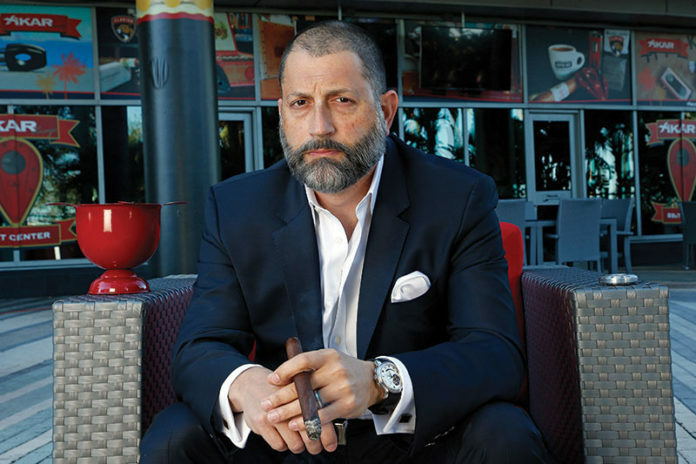 When Drew Estate was sold to Swisher International in 2014, he decided to stay on board as president.As an executive, he found himself doubling down on his time commitments, and the personal sacrifices began stacking up. With his fifth child on the way, Cellucci realized he had to make a choice between his career and his family. Cellucci took a year off, during which he spent time with Quality Importers CEO Michael Giordano. Cellucci was familiar with Giordano’s company—it had provided swag items to Drew Estate during his time there and also sold its products through its wholesale channel. In that time, Giordano had become one of Cellucci’s friends. So when Cellucci was ready to get back to work, Giordano asked if he would be interested in helping him take Quality Importers to the next level. Cellucci started out as a consultant, analyzing Quality Importers’ overall business. After a few months, he saw potential and opportunity in this business but knew the company would need new opportunities and personnel in order to properly scale up. He and Giordano worked out a deal that would allow him to come on board full time as president while not sacrificing the commitments he had made to his family at home.